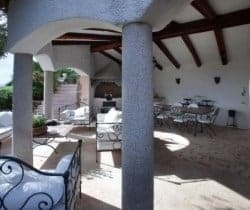 Located in one of the most sought-after locations in Costa Smeralda, this luxury, homely villa is the perfect choice in terms of large and comfortable living – certainly outdoor in the summer – and very near Romazzino beach, which is a mere 5 minutes’ walk. 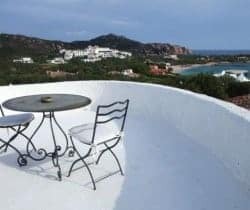 The white sand, almost dazzling, meets the turquoise sea on the beach not far from the villa. 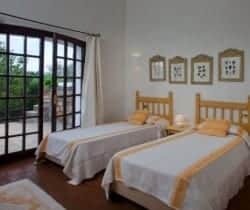 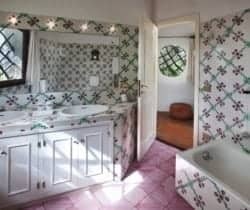 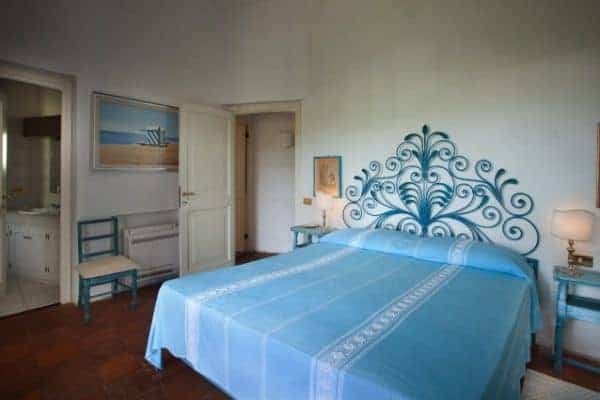 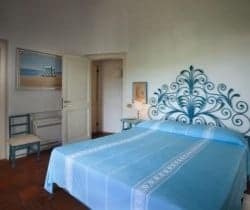 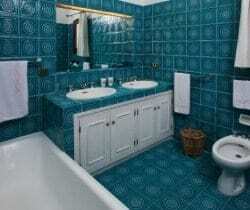 In fact you will be able to use the beach at the Romazzino Hotel when renting this villa. 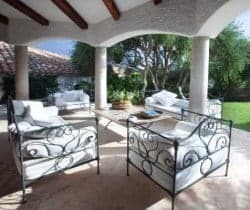 A plethora of aquatic sports will make your day busy, while if you are looking for some peaceful rest, the amazing views of the sea from the pool of the villa will help you attain that. 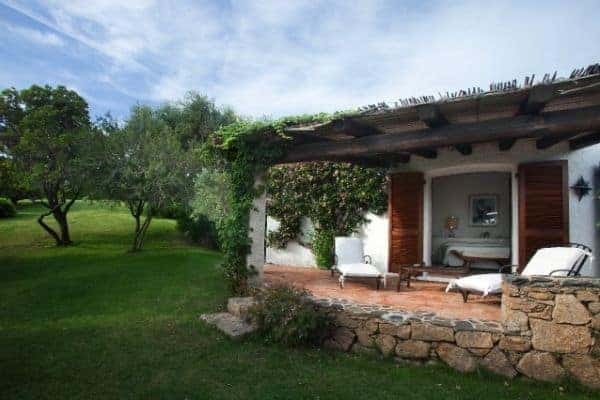 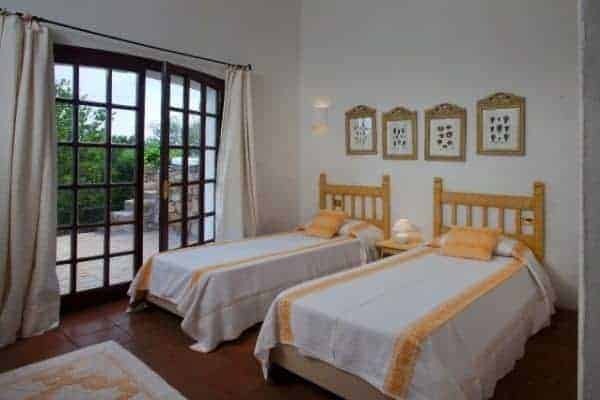 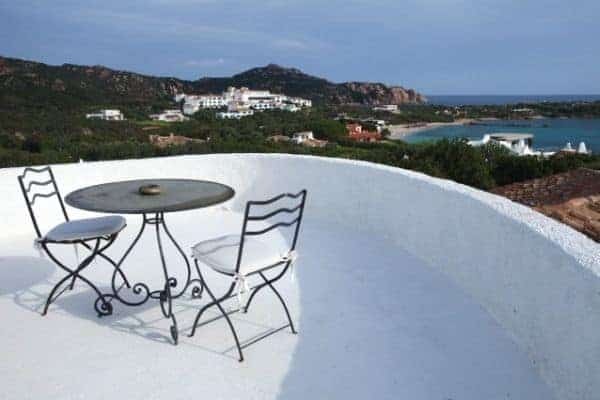 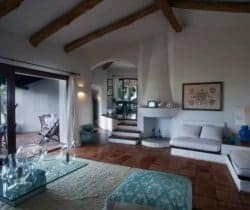 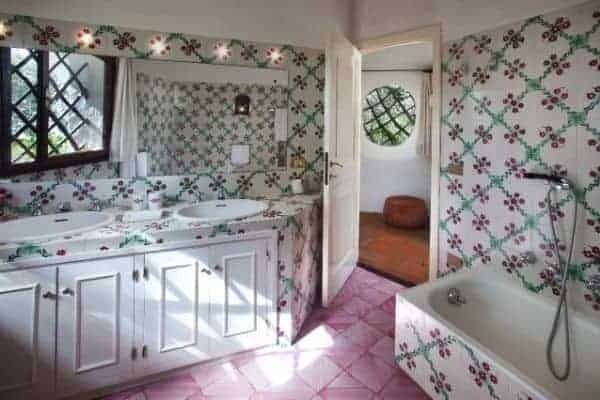 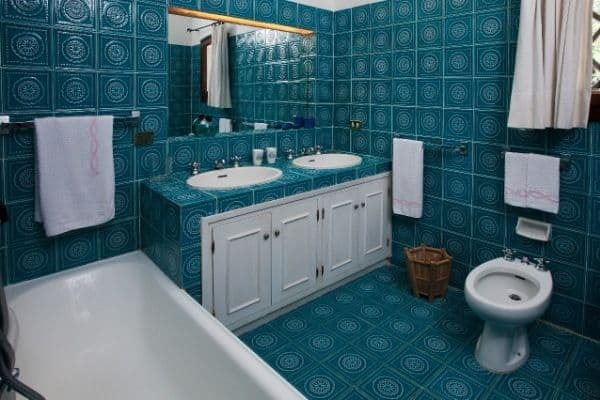 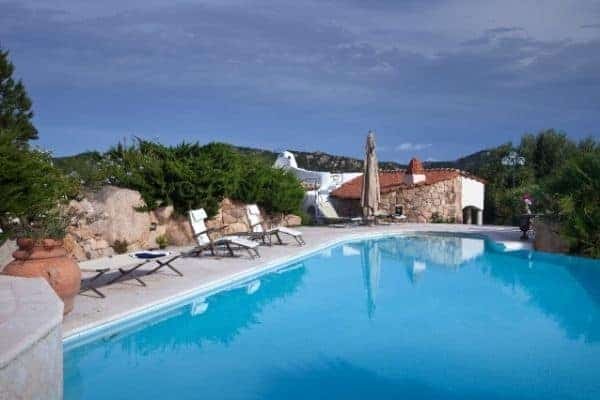 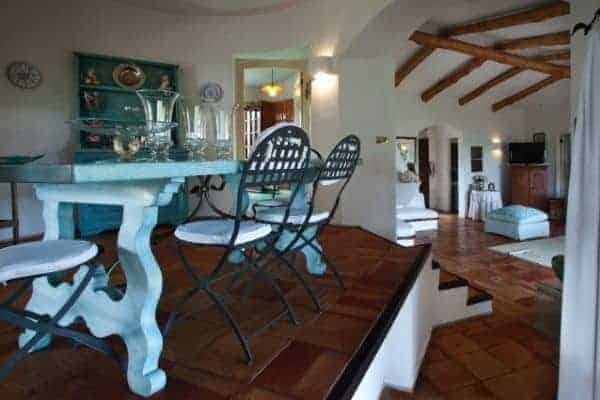 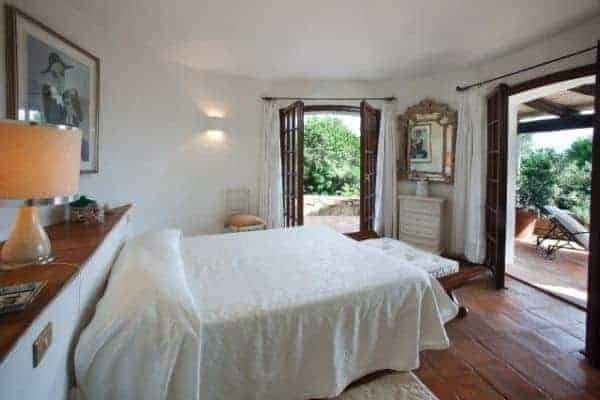 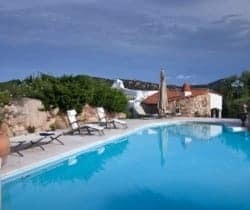 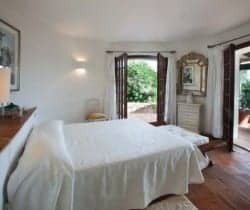 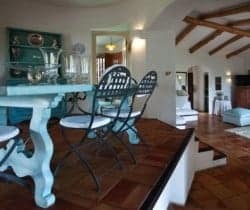 The typical Sardinian architecture, with local stone and tiles, the fresh white stucco of its walls juxtaposed to the blue of the sea, sky, pool and tiles, make this great villa one of the best in the area. 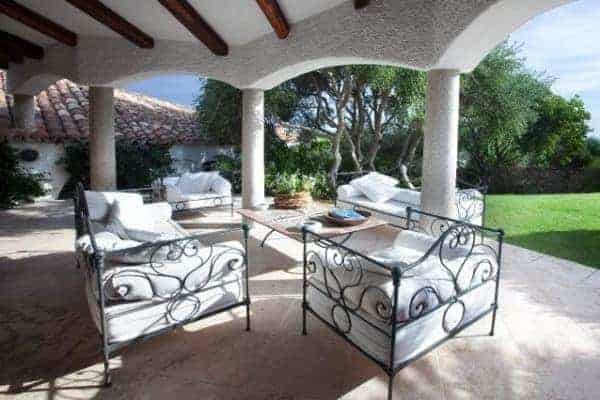 The wrought-iron present here and there throughout the villa, makes it all the more pleasant with a touch of very Italian classical style. 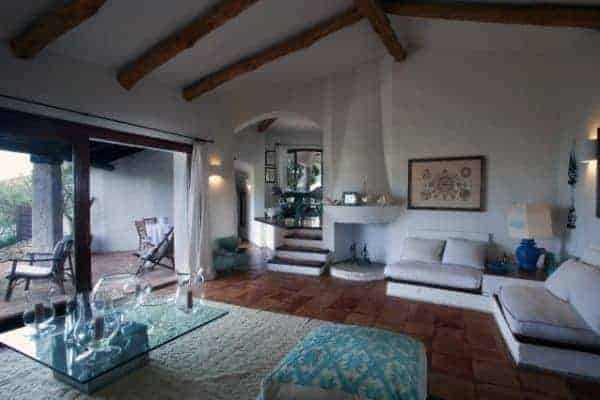 Four elegant double bedrooms linger around the central living area with the outdoors always reachable from the common areas. 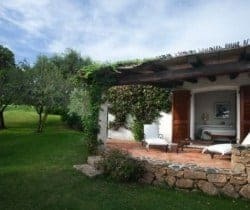 The villa is on a single floor but being built on a small hill, it has some steps to negotiate both indoor and outdoor. 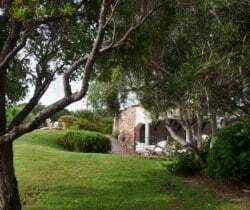 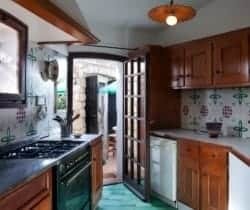 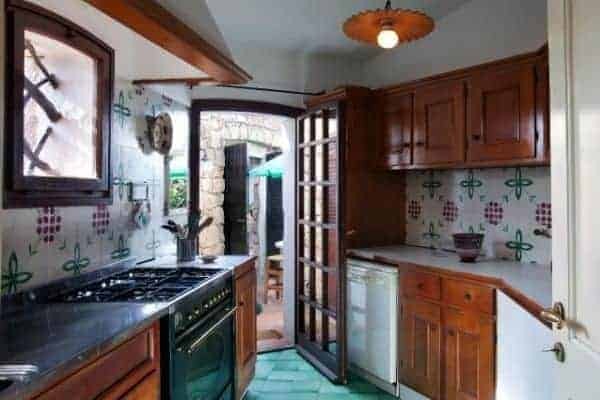 Here, a great open-air kitchen, a pizza oven and a barbecue will be your piece de resistance during the hot summer months, where a table sitting all 8 guests will accommodate you and your family with an enviable view of the sea and the islets in front of you, under a perfectly shaded terrace. 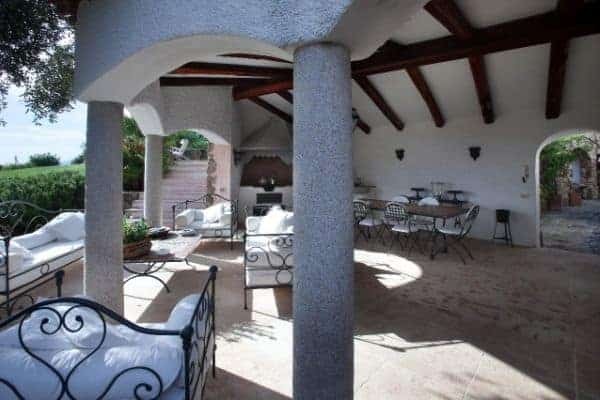 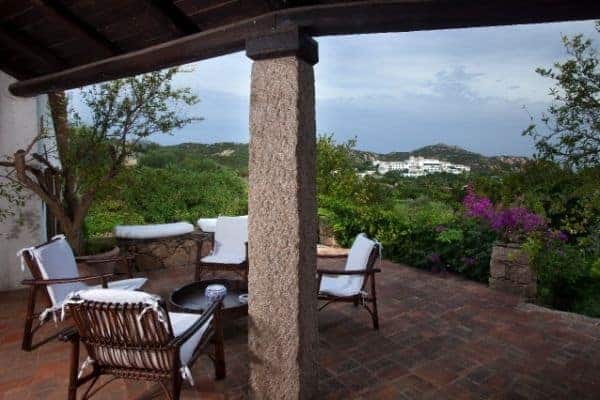 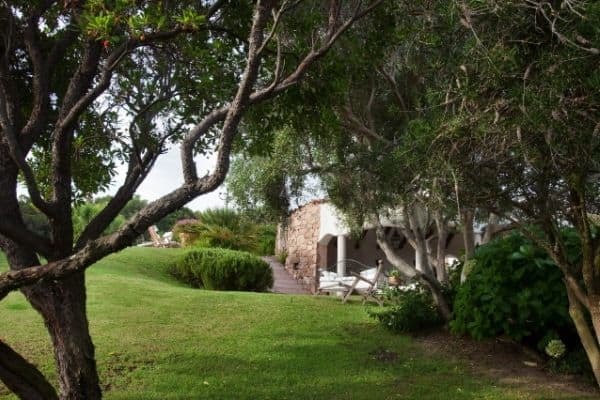 Not far from Porto Cervo and certainly located in the most exclusive area of Costa Smeralda, with a huge infinity pool chloride free, this is an exceptional house where you will be able to spend an unforgettable holiday in a very private setting , with all the comforts of a homely abode. 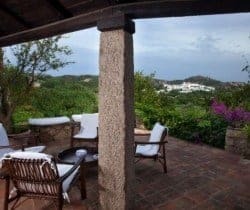 The summer events taking place in Costa Smeralda and Porto Cervo, in particular thanks to its exclusive clubs, restaurants and summer outdoor atmosphere, will make you appreciate your days here even more.